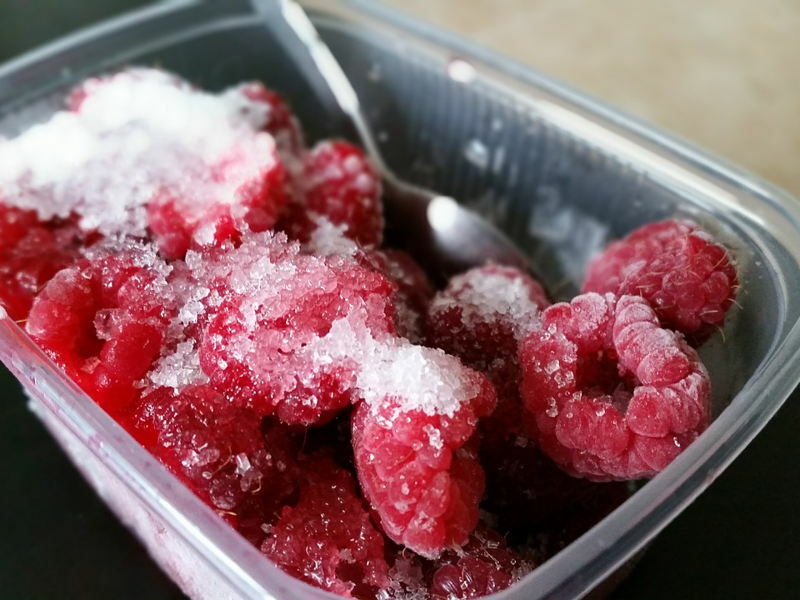 Portion Control - Always freeze your food in portion sizes, then you can easily defrost the right amount — no more food waste! A good way to do this is to line a bowl with your freezer bag so you can see exactly how much you're putting into the bowl! Label your frozen packages with the date and content so you know exactly whats in them at a glance…. No more having to defrost unidentified food types and try figure out what it used to be and how long it’s been in there. Thaw your meals the night before in a bowl in the fridge, the bowl is to catch any liquid that might leak out during defrosting! Wrap it up! Make sure you cover your food well, using cling-film or a freezer bag with the extra air squeezed out. Putting food into the freezer badly wrapped or loose can result in freezer burn. Once food has been defrosted, it shouldn’t be refrozen as it reduces the quality of the food. Make sure the food is heated all the way through and is piping hot! This eliminates the chances of any bacteria surviving. The more full your freezer, the better! Opposite to a refrigerator, a freezer works best when its packed full. The frozen packages help keep each other at a level temperature and reduce chances of freezer burn creeping in as the air doesn't need to circulate as much. Some vegetables with a high water content like peppers, cucumber, celery and lettuce are not suitable for freezing, as they go mushy. Hint: Tomatoes freeze well and can be used in place of tinned tomatoes. Make sure you allow the food to cool completely before freezing. Putting warm food in the freezer can bring the temperature of the freezer down and start defrosting other foods. Defrost your freezer once a year to get rid of any ice build-up. Freezers are more energy efficient when they are clear of any ice, and can regulate their temperatures better when they are frost-free.